This is my latest Dream DIY project. I got the idea from a picture I saw on Pinterest about a year ago. It showed an arched window placed in a wall of ivy and ever since I have been wanting to recreate it in our own garden. The first thing I had to do was find the perfect window or mirror and last week I finally found what I was searching for in The Range in Portadown. It costed £44.99 and I am over the moon with my purchase. The mirror has a distressed wood effect but it is actually metal so it will stand up to our lovely Irish weather. To create this look I had to trim back our Ivy wall. I've started using battery powered tools and I have to say they are amazing, they are so light and anyone can use them! I hated using our petrol powered tools as I can’t for the life of me, get them started! 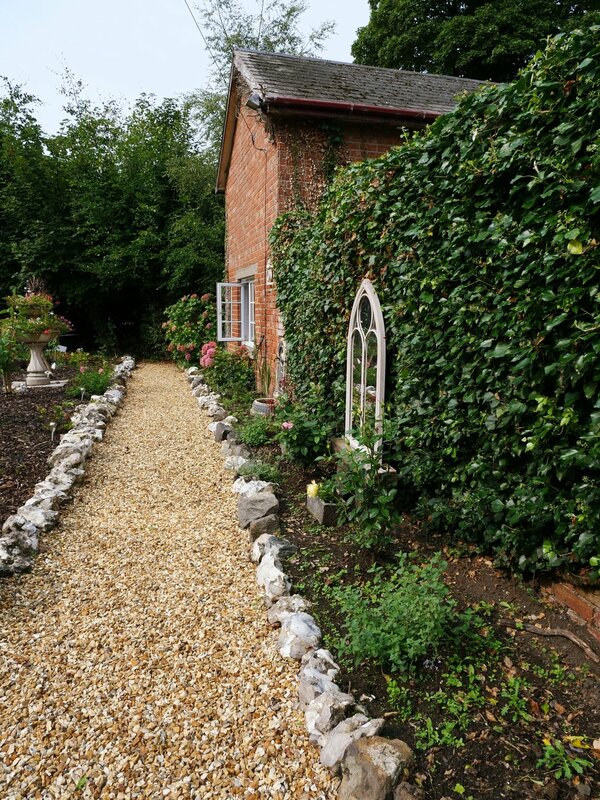 What I love most about our garden though is that it has loads of useful objects already in it! For example, I needed two large stones to rest the mirror on and luckily I had the perfect two just waiting for me. I also need a wooden beam to rest the mirror on and lo and behold I found one buried under our trees. I had to cut it to size but it was as though it was just waiting on me upcycle it! Next, I had to dig two deep holes for the stones to go into and I wedged them tight using the soil. I then used hard as nails glue to attach the wooden beam to the stone and to finish off I attached the mirror to the wall behind the ivy using metal garden wire. Lastly, I planted two rose plants that I got in Cork, to give it my little Dream DIY finishing touch. "Some people bring home ordainments home from holidays, I bring home plants lol.. "
They were nearly not coming home with me though as the car was already packed to the rafters but at 10 euro each you couldn’t leave them. I can’t wait to see them in full bloom, they are magnificent! This project turned out exactly how I envisaged and it was so worth the wait. What I love most about it is, that it looks like it's always been there and that's what I wanted to achieve! What do you think? 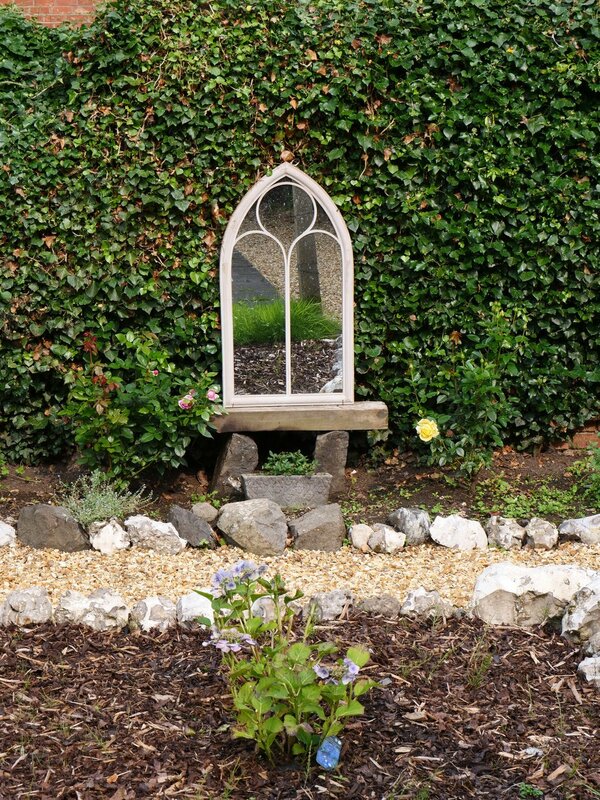 Have you any outside mirrors in your garden?